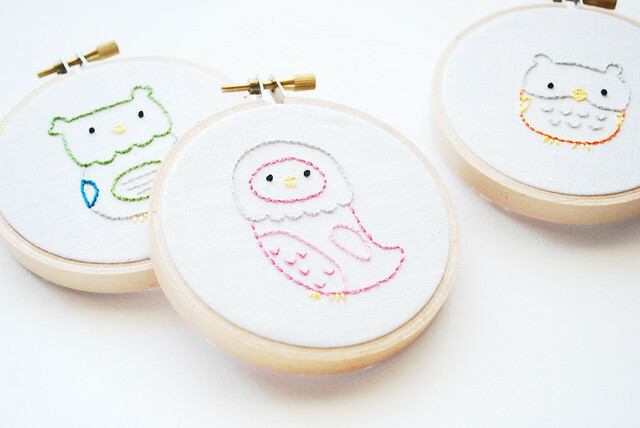 and Little Owls mini embroidery pattern! The orange one is my absolute favorite of the collection! ps: thank you all who were praying for my eye procedure! all went well, and I felt so cared for! OMG Mollie. I love love love owls!!!! 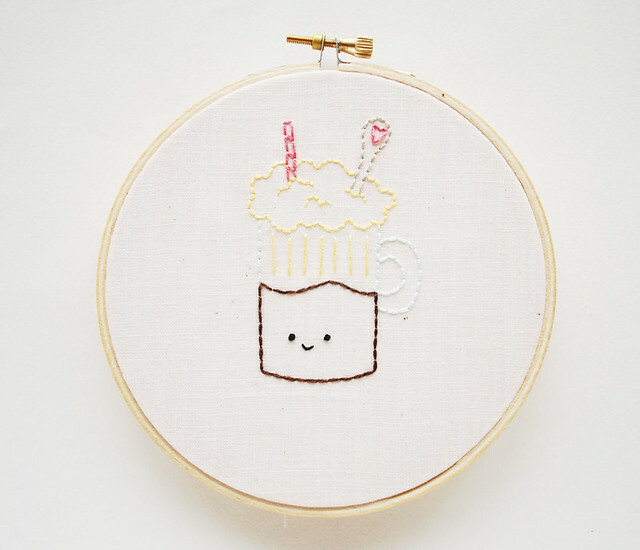 I follow your blog even though I am not a cross stitch/embroiderer (not sure if thts even a word). Maybe that should be my next craft project! Any tips or books for someone that is possibly thinking about getting into it? There are so many good tutorials to get you started, including a series that I put together! You can find it here. I don't plan on selling any finished embroideries, but thank you for asking! Mollie, all of these owl patterns and bits are SO CUTE. I adore owls. 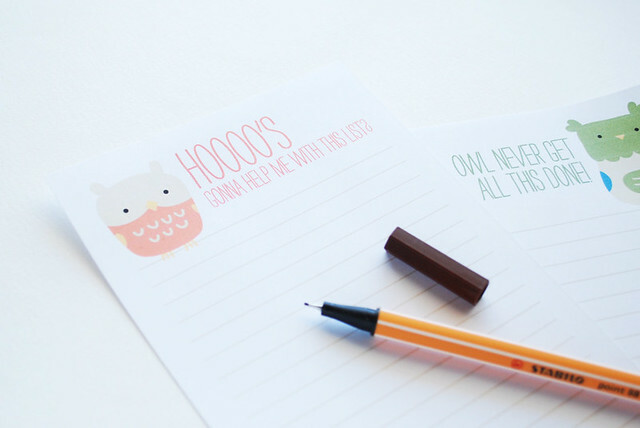 I will definitly be buying the mini owl pattern! Ah, those owls are so cute! Love all the new designs! Mollie, where do you buy your hoops? They look thicker than the ones from the craft store? Are they a different quality? I am in love with the owls. Can't wait! Wonderful to hear your procedure went well! Those owls are darling. 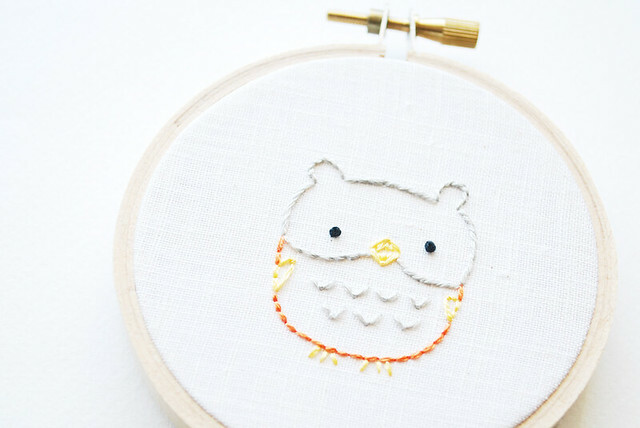 Can't wait to get my crafty little hands on those owl patterns. You never cease to amaze me with your design skills. Love your blog!! 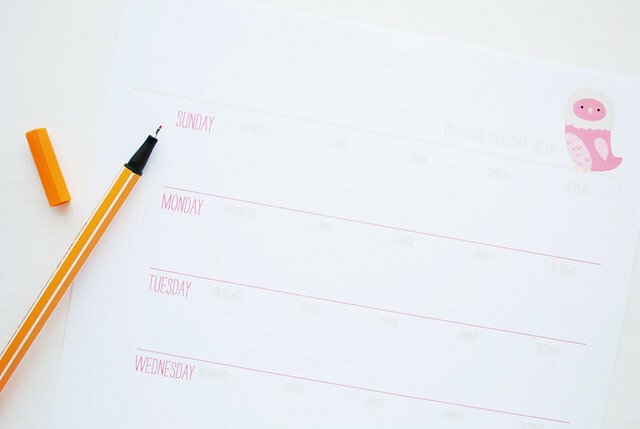 Hi, I really enjoy your blog it's a great source of inspiration. 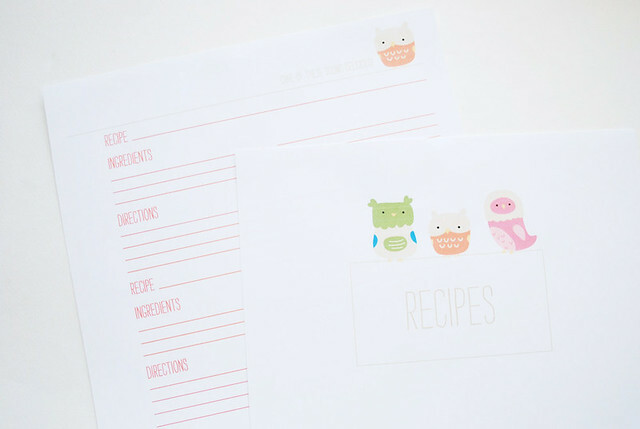 In that mood, I've made a printable for me: I often check the quantity of my food items ( how many box of rice, pasta, sauce, soup etc..) before writting a shopping list, so that i have always enough of each, without any lack. So I have created a post it note inoder to have a whole view of those items. I wonder if you would like to share it on your blog. I'm french so I did it in french, but I can translate it. Tell me and I can send you an example.